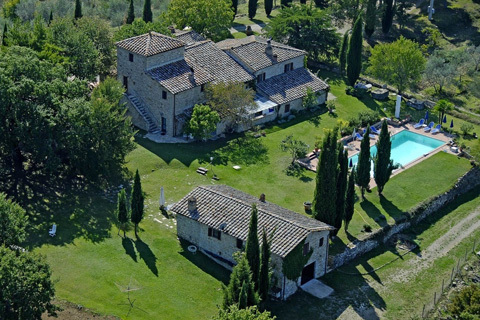 All the apartments are arranged with luxury, typical Tuscany furniture. 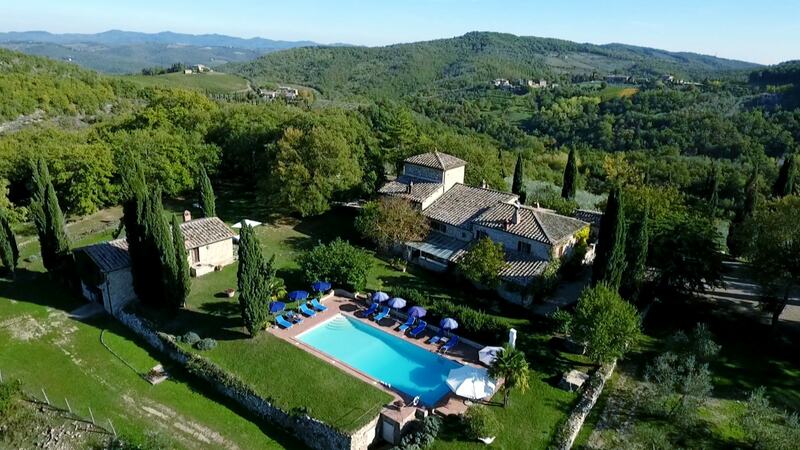 Podere Sagna is the perfect location for discovering the Tuscany! After creation the art objects melt with their environment. 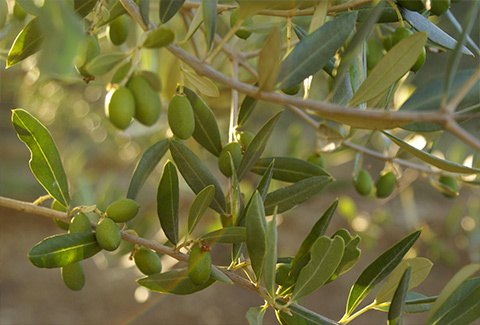 Since 1985 the entire estate has been given over to the organic production of olives. 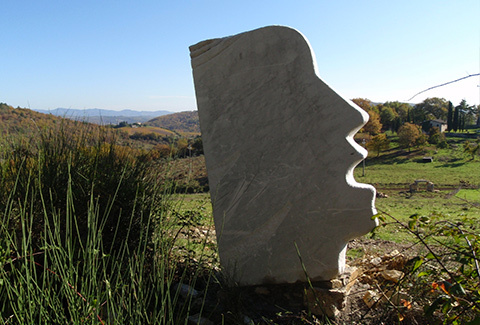 Leave your everyday life behind and leave the Chiantigiana or SR222 at the “Podere Sagna” sign, which is a picturesque wine route. This route connects Florence with Siena. 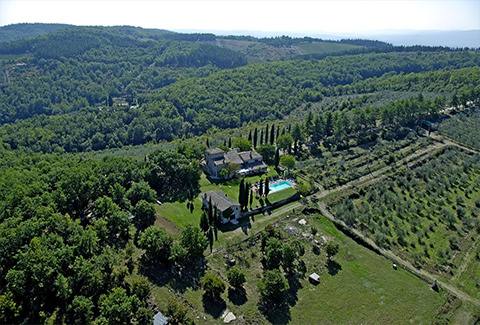 After 700 metres you will see the property that is surrounded by beautiful nature that has a remarkable history. 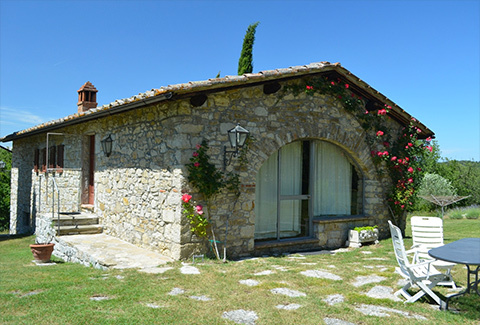 Podere Sagna was built in the 13th century and belonged to the famous winemaker family named Mazzei. The solid construction of the building is typically for the classy owners. 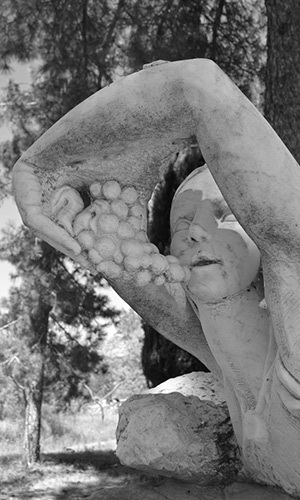 During the era of “Mezzadria” (half rent) farming families and agricultural worker were living in the property. In 1985 a Swiss acquired the country estate and renovated it in a good way. Enjoy the shelter of the old walls which cheer comfortable coolness in summer and welfare warmth in winter. 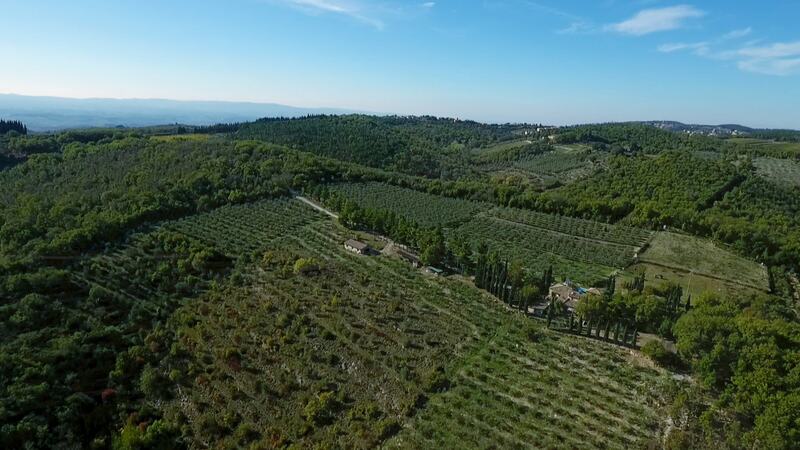 Podere Sagna is located in the totally calm nature of the domain of Chianti, is cultivated in a biological way and offers great views over the Tuscany hills. There are no passage routes or passerbys that could disturb the privacy. 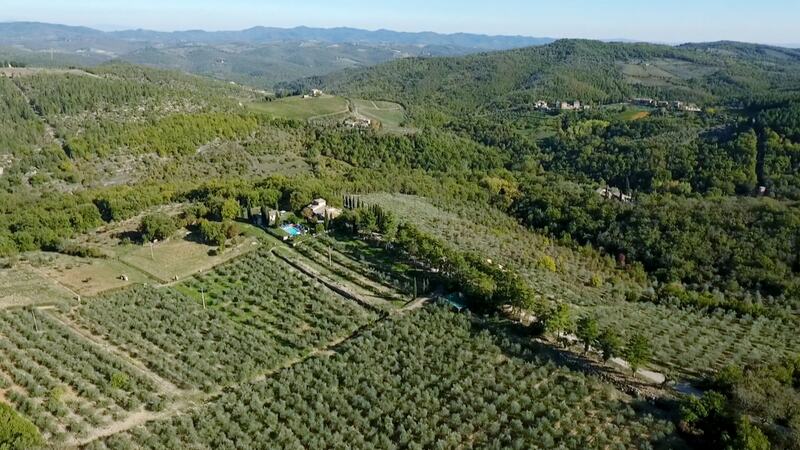 Surrounded by countless olive trees you live complete in nature. 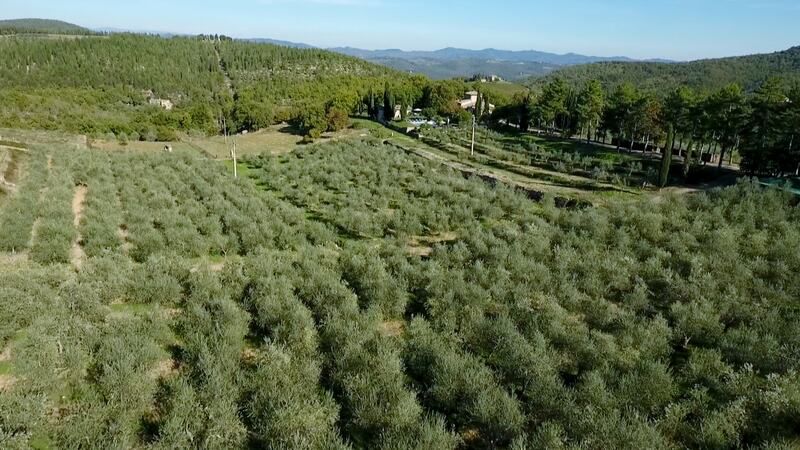 The organic and excellent olive oil is available on the spot. Enjoy a slice of Tuscany bread and add the oil on it. The Tuscany people call it Fettunta that is a delicacy which you don’t want to miss anymore. By the dawn it is interesting to watch boars, deer and rabbits. On the property there also live cats, dogs, sheep and a donkey. There are a manifold number of birds and doves, which are typical for the South, coo their songs. Although you enjoy a total privacy you have the guaranty that the congenial curator is discretely present in the background and helps you if you need.